The past 2 years we have Co-Sponsored the NW Stars Football Camp and we bring it back again this year. All unsigned Seniors will want to be there as we are expecting 20 – 30 colleges to be at the camp looking to offer the best of the best. NAIA, JUCO, Division III and Division 2 Schools will be in the house again this year looking for talent. THIS CAMP IS AFTER SIGNING DAY AND THESE COACHES ARE COMING TO FIND TALENT! YOU WILL WANT TO BE THERE GUYS! There was not a better camp last year- No way! This one delivered the goods and was on target with a great format and a social meet and greet time after the Camp where Coaches and Athletes get a chance to mingle and discuss football. UNDERCLASSMEN THIS IS A MUST FOR YOU TOO! GET YOUR NAME OUT TO THESE COACHES TOO EARLY! 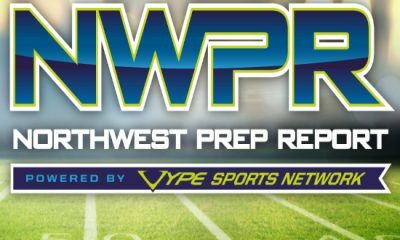 MAJOR MEDIA EVENT: Northwest Prep Report and Northwest Elite Index dominate the NW Prep Football scene with Millions of readers and both sites sponsor this event and will be in the house! We also expect other Regional and National Media to be in the home as well as Under The Radar Sports. We are excited to announce the 3rd Annual NW Stars Winter College Showcase. It will be held Saturday February 27th at French Field in Kent, Washington. Last year’s event had over 20 different Colleges in attendance from all over the Country. They represented states such as WA, OR, MT, SD, NE, KS, CA, CO, IA, and even Canada. There were even Junior Colleges represented from multiple states. This event is held after Signing Day for a reason. There’s a common misconception that Signing Day is the LAST day for a kid to sign with a College program. That simply is not true. In fact, it’s the FIRST day that any kid can sign with a program. Most programs don’t sign their full allotment of scholarships on signing day. They usually leave some in reserve because they know some kids will slip through the cracks or are not happy with the options they have. At this point in the process, each school also knows exactly how many spots they have left, what their exact needs are, and exactly how much money they have to give in scholarships. For a lot of kids, Signing Day approaches and they are not too excited with the schools recruiting them or the options they have. They also might not like the scholarship packages that are being put on the table, if they are getting any kind of package at all. So this event ends up being a game changer for a lot of athletes. Because this event is not just a last chance for current Seniors to find a future home, it’s also a last chance for the Colleges to land the rest of their recruiting class, so they are a lot more likely to give better offers. At last year’s event, numerous kids who didn’t have a single offer coming into the day walked away with multiple offers. In fact, one kid had not even started his Senior season and picked up four offers, one of which he took on almost a FULL scholarship! Another great aspect of this event is that Junior Colleges can attend. This year we are expecting several different JC’s from around the Country to be in attendance. So even if you’re a Senior and know you don’t have the grades to sign with a 4 year school out of High School, you still want to attend this event. This is a chance to get in front of different JC’s and meet their coaches. You can pick up different options of JC’s, and get a good package put together. This event also allows current Junior College players to attend. And it doesn’t matter whether you’re playing at a JC in the NW, or a JC in California, Arizona, or Texas. This is a chance to come get in front of 4 year Colleges from all around the Nation and showcase your abilities. This event isn’t just for current Senior or JC players either. If you’re an Underclassmen, this is a great event for you as well. This is a chance to get a head start in the recruiting process and get your name on a lot of different radars. In each of the first 2 years of this event, quite a few Underclassmen picked up offers on the day or as a result of the event. This year we are expecting over 30 different Colleges from lots of different levels and from all over the Country to attend. We are also expecting most of the local and regional media outlets to be in attendance too. 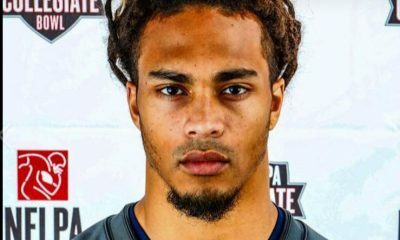 Last year’s had Scout.com, NEI, NWPR, Dawgman.com, Rivals.com, and Under The Radar. This year we expect those same media members to be in attendance as well as some new ones. So not only will each kid get in front of dozens of Colleges and College Coaches, they will also get great exposure by performing in front of all the different Media Members in attendance. The best part of this event is the format. Most Showcase events have 500-800 kids and are run in a 3 hour window spread out over numerous fields. It’s an absolute “Cattle Call” and kids hardly get any reps. And it’s literally impossible for a College Coach or Media Member to see every kid at every position. They have to choose what field to go watch and what position group to see. 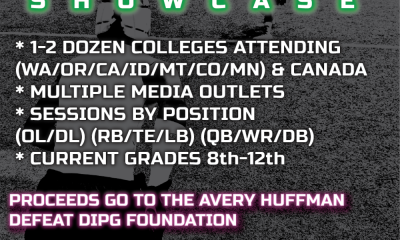 So even though it’s listed that a bunch of schools will be there, at best only a couple really get to see a kid, and they don’t get to see many reps of them. Our format is different, and avoids all those pitfalls. We run three separate sessions, divided up by position groups. This allows us to keep everything on 1 field, so College Coaches don’t have to choose what one to go to. It also allows us to keep the numbers manageable so every kid gets lots of reps for the day. And finally, it also allows College Coaches and Media to see every kid at every position. This means that College Coaches get to really evaluate kids throughout the day, and that’s why this event has been so successful and ended each year with so many kids getting offers and packages. If you know anyone that could benefit from this event, please pass it along to them. We want to make sure that any kid who wants to go on and play at the next level gets an opportunity. And with this event and format, anyone who attends is giving themselves the chance to do just that.